THE TWO TWENTY — bldg.studio.inc. 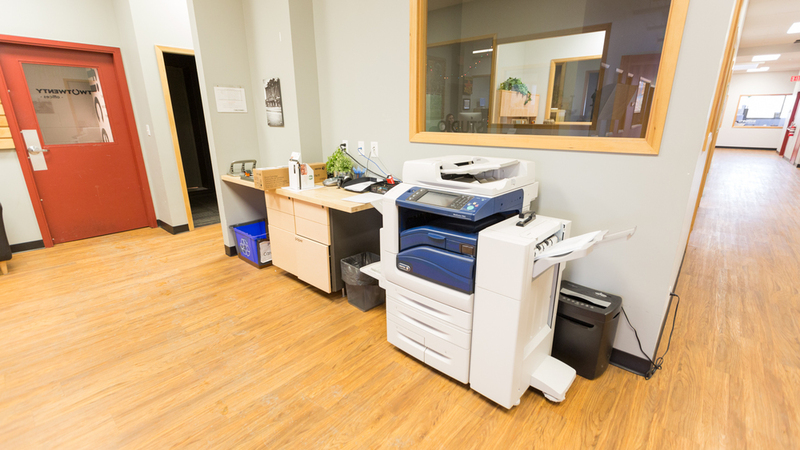 The Two Twenty is one of Saskatoon's first co-working spaces. The design program included creating various sizes of offices; from 50 sq ft to 400 sq ft, for the growing needs of the members. Multiple meeting rooms, phone booths, a community kitchen and open communal workspace have fulfilled the needs of the entrepreneurs and small businesses inside.